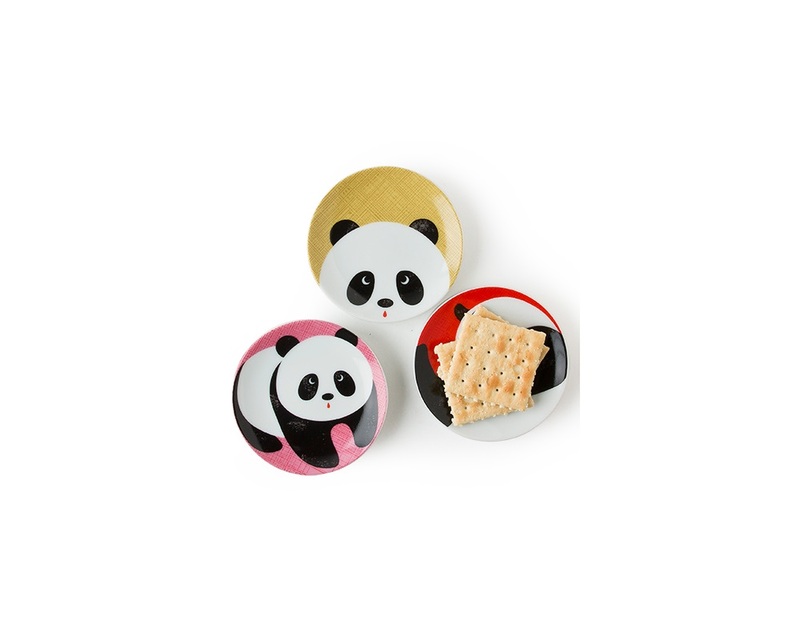 Panda-monium. 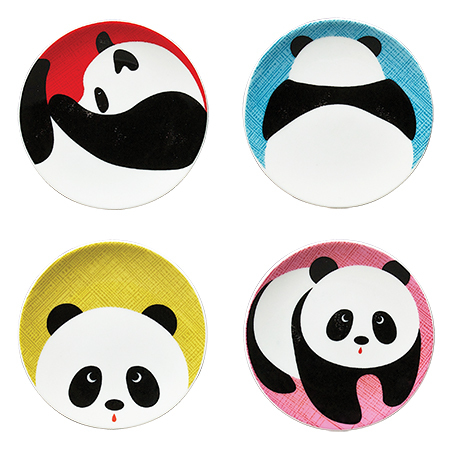 Pandas seem to just like to sit around and be cute. They're very good at it and watching them soothes the soul. 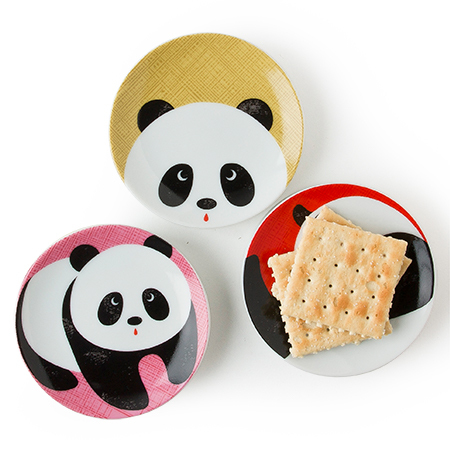 Mini Panda plates are better than the real thing! Because 1, these are dishwasher & microwave safe. 2. You do not have to feed them. 3. It is not illegal to own these. 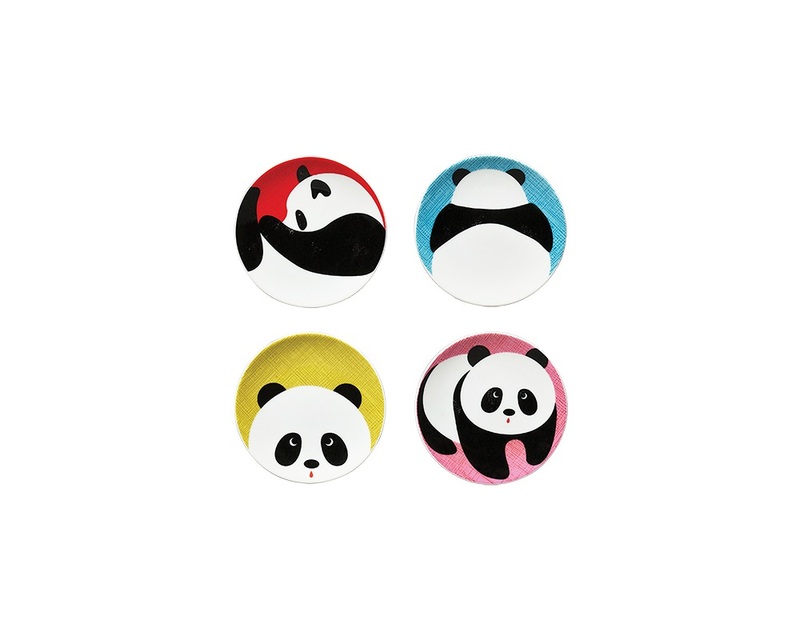 Small spots on black areas of the panda are meant to add interest and texture to the design. Made in Japan by Jewel Japan.